LishaBora's business model has been in an innovation and re-design stage over the last year. Throughout these changes we've gotten many questions from our investors. It made us realize, that if our investors have these questions, it's likely the general public does too! So we've compiled all of these questions and have developed this SAWA Series (Someone Asked We Answered) in spirit of the Kenyan culture where we hear "sawa sawa" on the daily. This month we're focusing on our impact and how are mission is transforming the lives of smallholder dairy farmers and traders in Kenya’s informal dairy market. Question: How are you affecting the lives of your beneficiaries? Answer: LishaBora has impacted 657 farmers since its founding. An internal study conducted with a pool of our farmers found that when they switched over to LishaBora’s dry-feed product paired with a measuring tool they saw an average increase of 78% in their net profits. 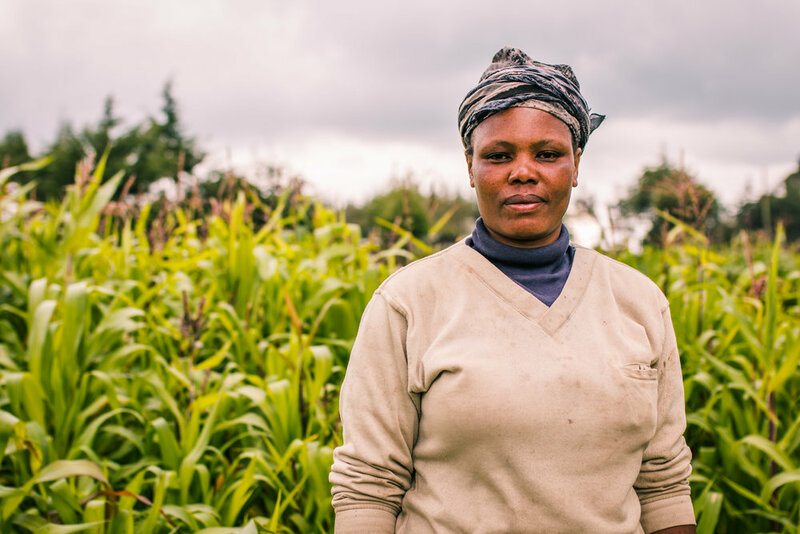 LishaBora’s mission is to lift smallholder farmers out of poverty by increasing their milk production, reducing their costs, and raising the point of sale of their milk by partnering with dairy traders. By digitizing dairy trader’s businesses, we formalizing the informal market, making smallholder’s bankable, and build credit in a market which has none. With the dairy trader business owner no longer focussed on repetitive accounting calculations and farmer payout, we expect the dairy trader to grow their business by 25 - 50% based on the three traders we have piloted since July 2017. In the communities we work 52% of our customers have been women, ensuring stabilized and extra income will feed into socio-economic benefits such as school fees or health insurance. Smallholder dairy farmers see an average net 22% increase in income as well as more reliable cash flow from working with LishaBora. This comes from an average 10% increase in income from milk sold to entrepreneurs and an average milk production increase of 12% from use of our cattle feed. Farmers receive predictable on-time and accurate payments in cash or via mobile money as confirmed through SMSes from our mobile app. This value addition to smallholder farmers will increase with the introduction of our mobile money lending products to smallholder farmers in the upcoming months. Smallholder farmers know LishaBora through brightly colored branded logos on our bags of feed and through SMSes they receive from our mobile app. Farmers see improved cow health through high-quality inputs improved access to finance and financial security through our mobile money loans to traders and smallholder farmers. Dairy trader entrepreneurs see an average net 85% increase in income as well as improved financial management from working with LishaBora. This comes from an average 15% increase in income from commissions from selling our cattle feed as well as 70% increase in dairy sales from an increased volume of milk to sell from well-fed cattle. Entrepreneurs increase the trust they have with the farmers and the buyers of collected milk enabled by the transparency afforded by the LishaBora mobile app. An entrepreneur is better able to manage his or her time and cash flow by seeing the amounts collected, sold, and owed on the Android-based LishaBora app. The value to entrepreneurs from working with LishaBora will increase as we offer mobile money lending products to entrepreneurs in the upcoming months. In a nutshell, the more value LishaBora can provide to farmers, the more value farmers can provide to their dairy traders and the more value traders can provide to LishaBora! It is an interconnected loop where the success of one party is intrinsically connected to the success of the other. We hope you found this series helpful! Stay tuned for next month's series where we answer what our plan is to scale and how many beneficiaries we hope to impact.